Why some runners with plantar fasciitis never get better. Hi everybody, I’m Dr. Christopher Segler. I’m a sports medicine podiatrist but I’m also a runner. I’m going to start by going ahead and tell you that I’m just not one of those doctors you typically tells runners to stop running. I’m a runner and I understand that runners want to run and also I wrote the book on runners heel pain. When you go to medical conferences and I speak to physicians about how to treat running injuries. When I get introduced they say I am an expert so I guess I was an expert but back to you and runner’s heel pain. First of all, heel pain is extremely common and in fact heel pain accounts about 40% of all business to podiatrist in the United States and although many doctors will tell patients to stop running. I don’t believe that’s always necessary and the truth is that for the majority of patients with heel pain they can continue to run and still heal. 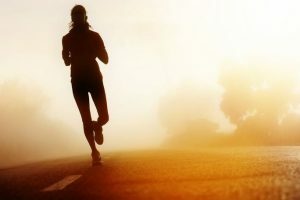 You probably have already done some short search online and found a condition called plantar fasciitis and plantar fasciitis is the most common cause of heel pain in runners and non-runners as well, frankly and you have probably when you search that you probably found have said that plantar fasciitis is self limiting or eventually just go away even if you are running. Maybe you are one of those people who believe you have plantar fasciitis and you’ve been running by you’re just not getting better or maybe you just notice some pain in your heel while you are running and you just want to make sure that you’re not going to do something foolish that might make it worst and then wreck the rest of your race season this year. Now neither case, I’m going to explain why some runners with heel pain get better and some of them don’t. In a nutshell, there are basically two reasons why runners won’t get better when they have heel pain. The first reason is that they have the wrong treatment. 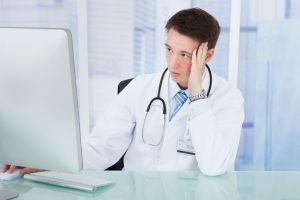 For example, if you have plantar fasciitis, you have been diagnosed with plantar fasciitis and you started doing some home treatments or you even started doing some treatments recommended by a doctor but you’re doing any of them slightly incorrectly, you may not get better and this does actually happen pretty frequently. I often see patients that have plantar fasciitis when they demonstrate the stretches that they’ve been doing. In many cases they are doing some of this wrong and because they’re doing wrong it’s increasing the stress on the plantar fasciitis actually making the condition worst. In other cases, they may be doing most of the stretches correctly but they have some sort of slight variation and they are doing it just a little bit off and that’s making the stretches or the other treatments less effective. In some cases though they are actually doing the right stuff. They’re doing the stretches that are correct, they’re doing all the step to reduce the inflammation. They’re doing all the things they can reduce the stress of a plantar fascia and they should be healing but because they are running on the wrong side of the street or the wrong type of surfaces or they’re using the wrong shoes or something like that. They’re basically using the running to increase the stress so much on the plantar fascia with their activity that the treatment that their doing that it’s the correct treatment is actually just not working. That’s one of the ways that this could happen. The second reason which seems to be more common to me actually is that they have the wrong diagnosis and plantar fasciitis is by far the most common cause of runner’s heel pain but you can’t just assume that you have plantar fasciitis. 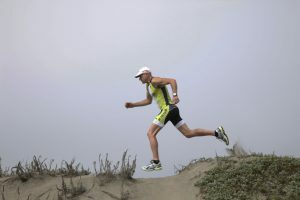 Many runners will do a short search and then they found out that they conduce to this simple treatment for reducing the inflammation and decreasing stress on the plantar fascia ligament and then they modify their run in some way to decrease the stress while they’re running and if they do this things they realize it will help. You should actually get better if you do all these stuff correctly. However, that’s only true if you have plantar fasciitis. If you have a different condition entirely, it’s not really surprising you’re not going to respond and you’re going to get better because it’s not plantar fasciitis. The first step, is really to figure out what the problem really is and then go back and determine conclusively that you do have plantar fasciitis and not one of the other conditions. What we’re going to do is help you figure out if you might have one of this other conditions and if you don’t understand what the other conditions are you never going to figure that out. 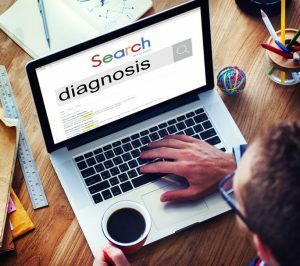 What you really have to figure out if you’re not getting better is whether not you might have the correct diagnosis. You have to understand what’s really causing your heel pain. Now what we’re going to do, we’re going to talk a little bit about the five most common causes of runner’s heel pain and understanding these different conditions will help you understand why you might not be getting better. When the doctor examined your heel and tries to figure out the cause of your problem, they’re really just trying to figure out which structure is injured. In most cases, it’s the one that hurts and the injured structure always hurts when the doctors hold on and stresses it, pushes on it, anything like that and when talking about ‘heel pain there really only a few structures in that area that can become injured and causes symptoms that seem like plantar fasciitis. The first structure in the bottom of your foot that can become injured is the plantar fascia ligament and that is actually the largest ligament in your foot. The second thing is the heel bone. Heel bone, it is also the largest bone in your foot and you can get an injury to the heel bone and it may seem like you have plantar fasciitis. There’s also a nerve that curves right around the heel bone in the plantar fascia and if you get irritation to that nerve, it can also seem like you have plantar fasciitis but you actually have a nerve problem and then the last thing the fourth thing is that there is a bursa or a little fluid filled sack at the bottom of the heel that can also mimic the symptoms of plantar fasciitis. 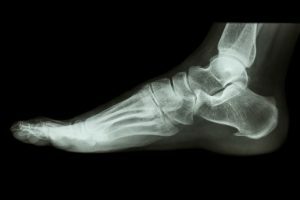 Each of these structures can get injured and cause heel pain and they are on the same neighborhood but the symptoms, although they might seem quite similar, they’re different conditions. The first condition we’re going to talk about of course is plantar fasciitis and as we said the plantar fascia is the largest ligament in your foot. This is by far the most common cause of heel pain and it’s really nothing more than inflammation of plantar fascia ligament. Basically it’s just the stress stripe injury to the plantar fascia ligament and in some cases it’s just irritated where the ligament itself actually tugs away at the heel bone or the covering of the heel bone and sometimes it’s a very minor sprain which means it has this tiny little tears in a ligament itself but basically is just an early beginning stress stripe injury to the largest ligament in the bottom of your foot. The second condition that can cause runner’s heel pain, it’s still associated with the plantar fascia but it’s more concerning and this is a partial rupture or a partial tear in the plantar fascia ligament. This is certainly worse and it can happen in several ways. It can get ripped part of the way across where that thing is actually ripped through a section of it. You can have what we call interstitial tear which is tiny little tear on the inside of the ligament and the best analogy for that is if you took a rubber band and you stretched it over and over and over and then you stretched it out and held it up to the light, you might actually see this tiny little micro tears on the inside of the rubber band and that’s basically what an interstitial tear is. It’s just that you have this little bit of tears on the inside of the plantar fascia ligament itself. Obviously, there can be a huge range of damage to the plantar fascia if it has a rip or a tear on the ligament. But the bottom line is that this is not something that’s likely to improve if you treat it like plantar fasciitis because the ligament is torn, it’s damaged. It’s really seriously injured and although there are some slight differences in the symptoms and the exam when you look at the partial rupture versus just plantar fasciitis . There are lots of runners that seem to get this partial rupture and they think they have plantar fasciitis but they’re mistaken and as a result they don’t get better. In fact, I frequently see patients who think they have plantar fasciitis. They tell me they have plantar fasciitis. They tell me some doctors said they have plantar fasciitis and they’re doing all the correct treatments but they’re not getting better. No surprise, they’re doing the correct treatment for the wrong conditions. The tear or the partial rupture is not getting better because they’re just doing the stuff that would fix the plantar fascia if it wasn’t inflamed, not if it’s actually torn. It’s a completely different problem and it is not getting better. The third condition that causes runner’s heel pain is a stress fracture of the heel bone itself and most runners who were stress fractures but the more common form of stress fracture is actually in the metatarsal bone in the foot. The pain is somewhere completely different so usually on the forefoot or the top of the foot. You can get a stress fracture on the heel bone and this also can have a range of trouble from sort of early inflammation within the heel bone towards a tiny little microscopic crack in the heel bone or you can have a crack in the heel bone that’s actually visible on x-ray and if you keep running on those, that can get significantly worse.In fact, the crack can continue to spread across the heel bone and the heel bone, they actually blow apart when it fractures and breaks and that is a complete disaster for a runner. This does happen. I actually saw a doctor one time and she thought she had plantar fasciitis but she actually had a stress fracture of the heel bone. She was doing an enormous pain of running when she got the stress fracture and but she just thought she had plantar fasciitis. She was doing all the right stuff and it wasn’t getting better. Much like a partial rupture to the plantar fascia, a heel bone stress fracture is also unlikely to improve if you just treat it like plantar fasciitis. It’s a completely different condition, the symptoms are different and the treatment is different as well. A fourth cause of runner’s heel pain the can also mimic plantar fasciitis is a nerve issue. You have this small nerve on the inside of your heel bone that curves around the plantar fascia and around the heel bone itself. If there’s any irritation to this nerve, it can cause pain on the bottom of the foot and because the location of pain is pretty much the same location of the pain in the plantar fasciitis, runners often mistake this condition for plantar fasciitis. Lots of doctors mistake this plantar fasciitis as well because it seems so similar but it’s different. The symptoms are a little different, their onset or the way it begins is different. It hurts when you push on the slightly different location and it’s not the same condition. It’s also not going to respond the same way because whether it starts with mechanical irritation or whether the shoes has been rubbing or that seems rubbing against the nerve and it compresses the nerve or you step on one of your kid’s legos and it makes the nerve inflamed and it just stays inflamed because you’re running on it. It’s not going to get better if you treat it like plantar fasciitis. In some cases you have some scar tissue around the nerve, you have some trauma but that’s less likely. But the bottom line is you have to discern the nerve issue form a plantar fascia ligament issue and it is fairly easy to distinguish them and they are also treatable but the treatments are different. The nerve issue is not going to improve with the treatment that you use for plantar fasciitis. It’s really important that you discern this conditions and you make sure that you know which one you’re actually trying to treat if you want to get better. The fifth cause of runner’s heel pain is inflammation and irritation of a bursa at the bottom of the heel. Now, because the heel bone is called the calcaneus, the bursa underneath the heel bone is a condition the doctors call infracalcaneal bursitis. It’s infra for underneath calcaneal in reference to the heel bone and bursitis for inflammation of this little bursa. The bursa is just a little fluid filled sack and it’s supposed to decrease friction between the layers of tissue and between structures when they move. The analogy of this is if you take a ziplock bag and you put a little bit of olive oil on it, it’s very very very slippery when you move it back and forward and it has almost no friction. The bursa is basically the anatomic equivalent of this but instead of being filled with olive oil, it’s filled with synovial fluid which is the same fluid that lubricates the inside of your joints. The bursa is actually filled with some soft, squishy tissue that’s called synovial tissue and that’s the tissue actually makes this synovial fluid that makes the lubricant fluid on the inside of the bursa. The problem with this is that when the bursa gets irritated it can swell and then when the bursa becomes really painful, it’s because of the swelling. It gets worse because when you step on it, it’s actually is protruding more so then when you just step on it and normally you wouldn’t feel the bursa, now suddenly it’s sort of sticking out like a sore thumb and its more prominent. Everytime when you step on it and then you run, it sort of pinches and squishes the bursa and that tender synovial tissue on the inside of the bursa and that causes pain. Now, because the bursa is on the bottom of the heel, this is another one of these condition that often gets confused with plantar fasciitis. It’s misdiagnosed both by patients trying to make their own diagnosis and doctors when they see patients and I see a lot of patients that have been seen by doctors and I’m seeing them for a second opinion and they have been told that they have plantar fasciitis but they actually don’t have plantar fasciitis at all, they have a problem with the bursa. Again if you treat bursitis the same way you treat plantar fasciitis, it’s not going to get better. It is treatable of course and you can treat it with some really simple strategies but you have to make sure that you’re not doing the treatment for bursitis and then you’re not treating it like plantar fasciitis. If you’re a runner and you think you have plantar fasciitis and you’ve been running and been doing the correct treatments, you’re not getting better. Then you have to take a step back and try to determine whether or not you might have one of these other conditions that’s really masquerading this plantar fasciitis. If so then you have to start doing the correct treatments for the promise that you can treat the thing that’s actually causing your pain. Don’t just treat it like plantar fasciitis and assume you are going to get better but if you’ve gone back and if you’ve re-evaluated and you’re still convince you have plantar fasciitis or if your doctor is still convinced that you have plantar fasciitis then you have to look very carefully the treatments that you are doing and just make sure that you are not making any mistake. Make sure you’re doing everything correctly. Remember that even small deviations from the standard treatment retains that we know are effective for plantar fasciitis, they’re not going to work well if you’re making mistakes. You really got to double check those treatments and just make sure you’re doing them correctly. But as long as you have the correct diagnosis and you’re doing the correct treatments then you should get better and be able to get back to running without any issues.